HAMMER DRILL : Variable 2-speed (0-550 & 0-2,100 RPM) delivers 1090 in.lbs. of Max Torque; weighs only 5.9 lbs. 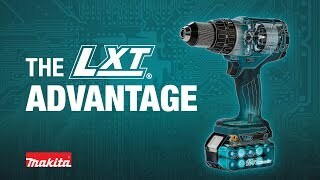 Makita is the innovation leader in brushless motor technology, and the XT448T 18V LXT® Combo Kit provides three BL™ Brushless Motor solutions for drilling, driving, demolition and cutting – and each one delivers longer run time, increased power and speed, and longer tool life. The XT448T includes a BL™ Brushless Motor Hammer Driver-Drill that delivers a full 1,090 in.lbs. of torque, a fast-cutting 6-1/2” Circular Saw with 5,000 RPM, and a recipro saw with a refined crank mechanism that delivers faster blade speed and longer stroke length for more efficient cutting. The kit also includes an 18V LXT® L.E.D. 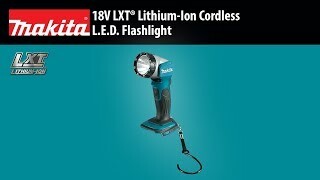 Flashlight, as well as two fast-charging 18V LXT® Lithium-Ion 5.0Ah batteries, Rapid Optimum Charger, and tool bag. Shipping Weight : 32 lbs.